PYONGYANG, June 12 (Xinhua) -- Top leader of the Democratic People's Republic of Korea (DPRK) Kim Jong Un said he wants to learn from Singapore how to develop the economy, the Korean Central News Agency (KCNA) reported Tuesday. During a tour of various attractions in Singapore on Monday, Kim said "Singapore is clean and beautiful and every building is stylish" as he had heard of in the past, according to the KCNA. The state news agency quoted Kim as saying that he got to know well the potential and development of Singapore's economy through the tour, and that he had a good impression of the country. 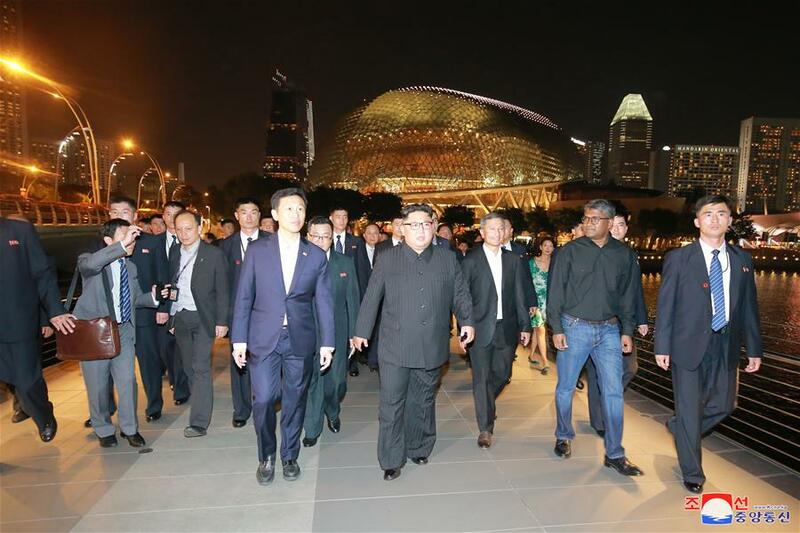 Kim, who was in the city state for the first DPRK-U.S. summit Tuesday, visited the Great Flower Garden, Marina Bay Sands Sky Park and Singapore Port, said the KCNA.